I was recently contacted to share our story about how we are using technology to make an impact in the world as part of AT&T’s “Beyond Limits” campaign. The Beyond Limits campaign “celebrates the victories of some incredible individuals with disabilities who are pushing the limits of what they “should” be able to do, and proving it with AT&T’s technology.” If you check out the Beyond Limits website, you’ll see various ways that technology is truly helping people reach their full potential. 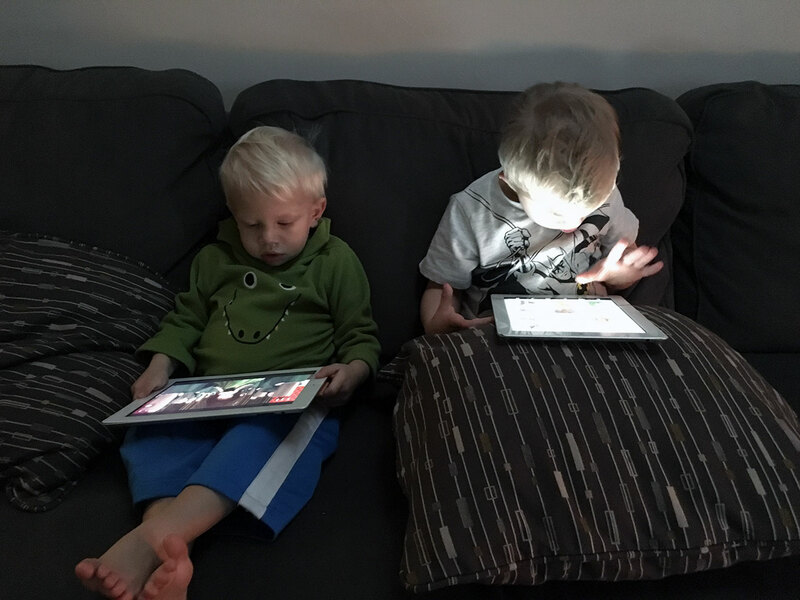 These two enjoy their iPads! 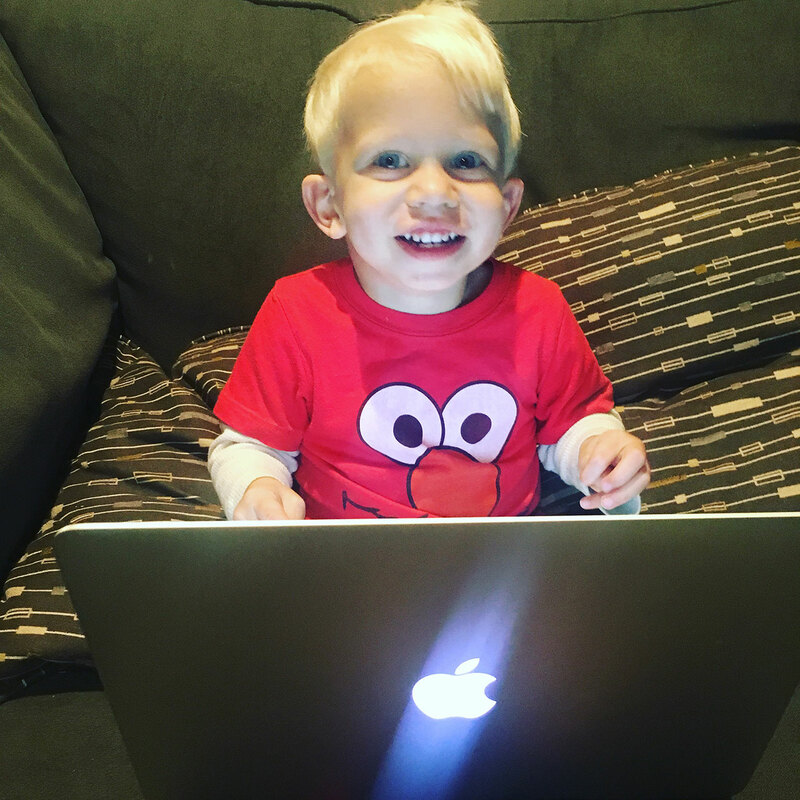 Although Noah isn’t in a wheelchair, without any of his limbs, or in need of hearing aids – technology has been a huge part of helping us make an impact and (hopefully) help change the world. If you’re reading this blog post you’re a perfect example of that! I thought I’d take a few (hundred) words to share with you how we use technology to change the world. Be sure to hit play on the video below to learn a bit more about how we’re using technology to make an impact! 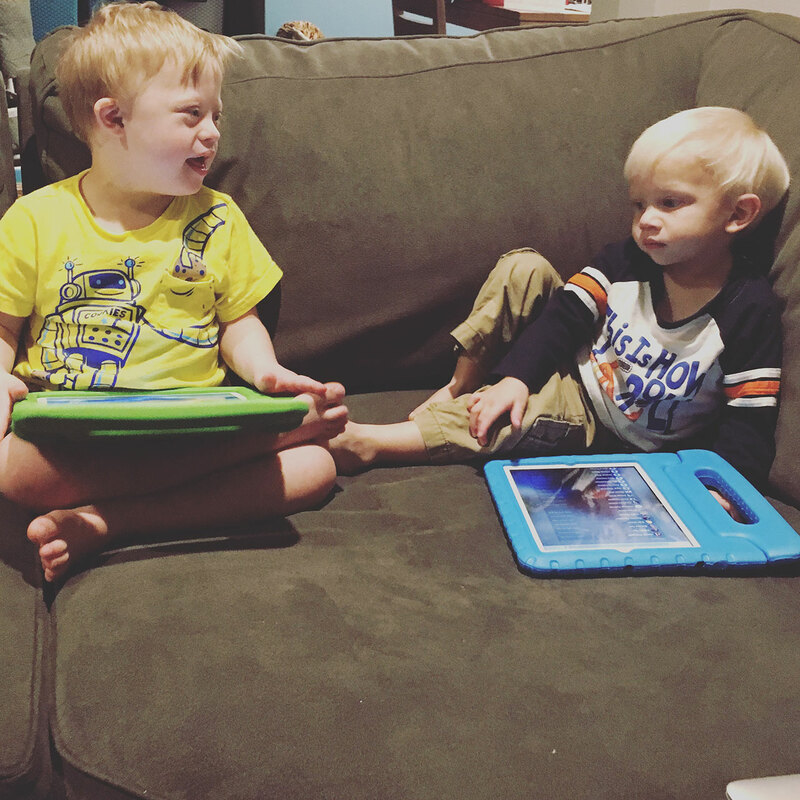 When Noah was born we found out that, sadly, a mother’s womb is the most dangerous place for a child with Down syndrome. We wanted to change that. We knew that stories have a lot of power, but only if they are shared. Stories also have the power to take away the unknown, and when you take away the unknown you take away some of the fear, and when you take away fear people can step forward in courage. So we decided to tell our story, but not with a pen and a pad, rather 0’s and 1’s. 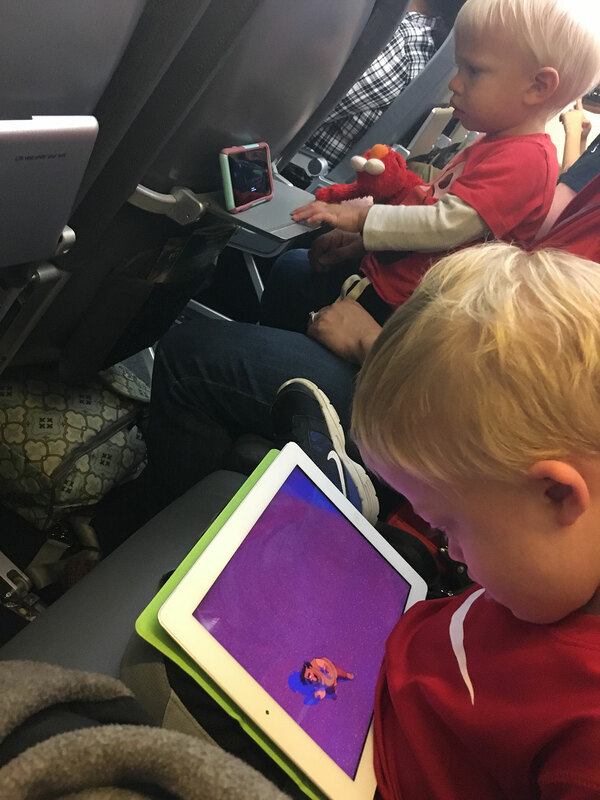 Technology makes plane rides much more fun! One of the very things we knew we wanted to do was find a place to tell our story, a place where we could document his life and let people in. The easiest way to do this was to set up a blog. We created this site and the idea was to post a short video of his life every day. That quickly became easier said than done! However we have documented a lot of his milestones and have shared his story along the way. We’ve fallen behind, but hope to get back to posting on a more regular basis. If you follow us on Facebook or Instagram you know that we post there on a much more regular basis than our blog. It’s so easy to pull the phone out, snap a picture or video, and upload it to one of the social networks. What’s great about this is we’re able to connect with our families as they leave comments, send messages, and even share their own pictures in the comments. The power of social media is really incredible as we are able to connect with thousands of people from around the globe every day! Live streaming as something that is becoming more and more popular, and something that we really enjoying doing. For about a year we’ve been able to pull our phone out and use Facebook live or Periscope and let people in to our world. What I really enjoy about live streaming is it’s real time. We’re able to answer questions and respond to people as they leave comments. Just this weekend we were on vacation and were able to live steam the “Duck Race” there are boys were a part of. I’m excited to see how live stream evolves and grows! We truly live in an amazing time in the history of the world. Many of us carry a worldwide platform in our pockets, and at any given time you can capture moments and tell your story! But you may also use technology to help walk, run, learn to talk, hear, or in a number of other awesome ways. AT&T wants to hear from you (and give you a chance to visit the U.S. Olympic training center! By the way, we’ve been there before and it’s a lot of fun!) Check out their site where you can create a video, share your story, and enter to win a trip to visit the U.S. Olympic Training Center! Be sure to leave a comment below letting us know how you use technology to share your story, or do awesome things!